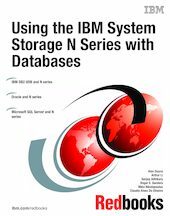 This IBM® Redbooks® publication discusses how to optimize the IBM System Storage™ N series products with some of the major commercially available databases available to customers today. Topics include installation, performance, monitoring, and management when using the IBM System Storage N series with IBM DB2® , Microsoft® SQL, and Oracle® . We also cover best practices and tips for using the IBM System Storage N series with these major database applications.